Auvergne is a historical region in central France. The region contains many volcanoes. The last confirmed eruption was around 6,000 years ago. The volcanoes began forming some 70,000 years ago, and most have eroded, leaving plugs of hardened magma that form rounded hilltops known as puys. 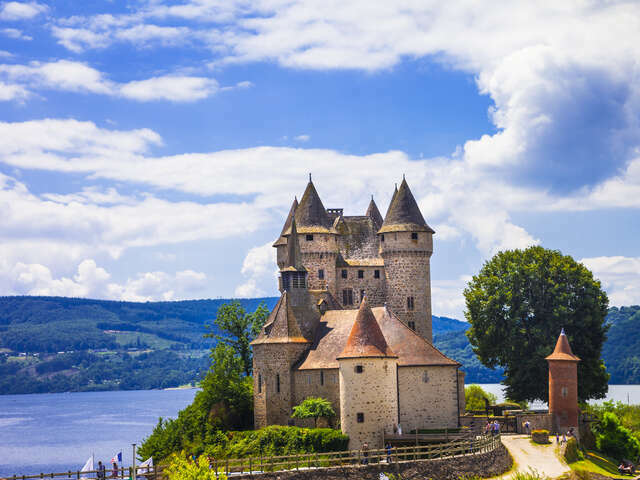 One of the smallest regions in France, it is known for its mountain ranges and dormant volcanoes. Together the Monts Dore and the Chaîne des Puys include 80 volcanoes. The Puy de Dôme is the tallest volcano in the region, with an altitude of 1,465 m. The Sancy Massif in the Monts Dore is the highest point in Auvergne (1,886 m). The northern region is covered in hills while the southern portion is mountainous and dotted with pastures.